How will you solve that problem? Is your life full of problems? If you’re one of those people who seems to go from problem to problem, maybe it’s time to change the way you handle problems. Problems can cause you a lot of unhappiness, derail your life and result in depression and anxiety, or they can simply be one more thing you must handle today. Unresolved problems can fester and damage relationships at home and work. The problems you don’t tackle can undermine your self-esteem and hold you back from the life you want to have. Here are some simple steps you can take to move from a problem-filled life to a “problems handled” way of living. This approach is often used by companies or businesses, but you can easily modify it for solving personal issues or family and relationship problems. A couple comes in for relationship counseling, the problem they describe is that they are constantly fighting over money. Before this couple can solve this problem, we need to get more specific about what the problem is. For some couples, this is largely a financial problem. Scraping by from month-to-month, not being sure you’ll be able to pay the rent and the power bill can put a strain on any relationship. The solution will be learning some financials skills. Another couple has plenty of income, and their expenses would be manageable if they could agree on how to spend their money. What we need to establish is whether this is a relationship issue or is it about power and control? Maybe one of them is a saver, and the other wants to spend. If one’s goal is a large savings account and the other’s goal is to do lots of traveling the problem to solve is not financial, but how they make decisions. For couples whose problems are primarily fighting about money, the real issue may be that they barely have enough income to survive. When you live a life where what you earn each month is less than what you must spend, and you make up the deficit by using credit cards, eventually something must give, either before bankruptcy or after. The stress of unpaid bills can result in a lot of irritability and arguments. Start any effort to solve your problems by creating an as specific as possible definition of the problem. What if your problem is someone else? Your partner makes you angry, or your kids won’t behave. It’s hard to develop a plan for anything you can do when the problem is someone else. There are three possible approaches, try to change the other person, change yourself, or stay miserable while insisting that things shouldn’t be the way they are. While it’s difficult, it is sometimes possible to change the other person. Every relationship, especially couples and families, develop a pattern of how they relate to each other. Therapists call this the “family dance.” If you want to change the interaction, you must change the dance, and you begin this by doing different steps than you’ve done before. As you change others will be forced to change in response, though they may not always change in the way you want them to change. Both changing yourself and the process of encouraging others to change are skills you can learn. You might want to look at the posts about problem ownership and behavioral modification. Generate possible solutions for your identified problem. Once you are clear on what the problem is and who needs to make the changes, you can begin to generate a list of possible solutions. Let’s take the “fighting about money” problem. It may be hard work, but a first step would be to develop a budget. You need to know how much money is coming in each month and where it is going. The couple needs to agree on how important savings are to them. What percentage of each month’s income do they plan to save? Saving should include putting something away for retirement. A small amount saved each year can grow to a substantial amount over your working lifetime. You also need to prioritize what you spend your money on. That mixed coffee drink can be a nice treat. But if you add up what you spend on those lattes and compare it to the cost of making a pot of coffee and taking a mug with you, having the money to pay the power bill the first of the month may be worth more than those daily splurges. Solutions you might consider for solving your financial issues could be ways to earn more income, ways to reduce expenses, or sell something you have, to raise some extra cash. Many people find that their payments on expensive cars or credit card balances are the hole the drains money faster than they can earn it. Solving financial problems is often painful, but if you don’t solve these problems, the stress can damage your mental health and destroying your relationship. Explore the advantages and disadvantages. Any effort to solve a problem comes with pros and cons. The last real estate downturn forced people to choose between making large payments for houses that were worth less than what they still owed on them, or giving up their dream home. To solve a specific problem, you may have to give up something or do something you don’t wish to do. Evaluating your options can be difficult. You will never have all the information you would wish for. But eventually, you must choose to change something, or you will choose to continue to live with the pain of an unresolved issue. This step trips up a lot of people. The couple decides they need to let things from the past go and focus on the future, but the next time there’s a disagreement about raising the kids or spending money all that past stuff gets thrown into the argument. You may have decided to stop splurging on little expenses, and the next day, when you feel a little down, you start spending again. If you decided the way to solve your financial problems was to stop making impulsive purchases and pay down your credit card debt, be careful of making exceptions and buying something just this one time because you want it. When you have these little slips and don’t follow your plan, don’t beat yourself up and don’t toss the plan away. Accept that you’re not going to be perfect the following the plan. Redouble your efforts again the next day. Evaluate the results you are getting from your plan. Whatever the problems you’re trying to solve, you need to do periodic reviews and evaluate whether what you’re doing is moving you in the right direction. Some problems may be easily solved. Others may require effort over a long period. Don’t get discouraged. Do give yourself credit for the effort you put in and for whatever results you achieve. Modify the solution as needed. Be careful about getting locked into one solution. 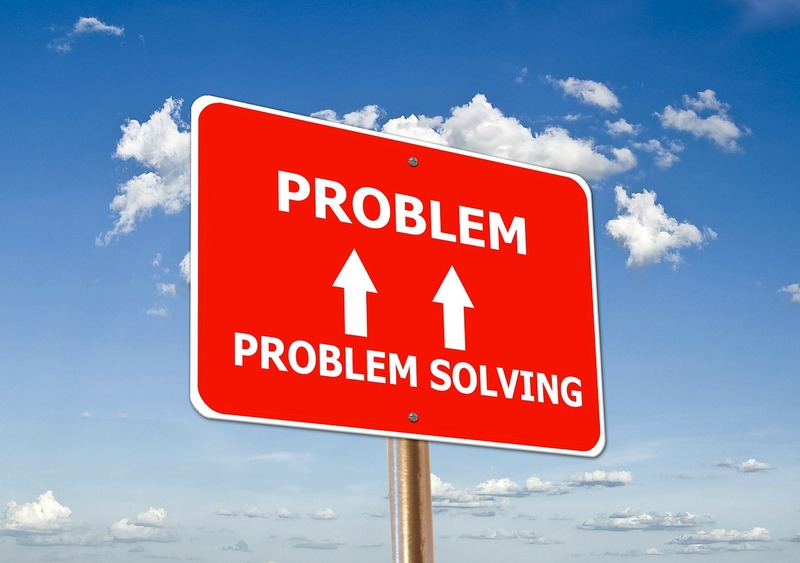 Some ideas you may have had for solving your problem won’t work. Others may take more effort and time than you’re willing to put into them. Make whatever changes you need to make to reach your goal. What should you do if your solutions don’t work? At any point in the process, you might want to seek out professional help. For financial problems, you may need financial counseling. For work-related issues, you might need to see an educational or career counselor. For mental health and emotional problems consider therapy. If the problem is your relationship consider couples, marriage, or family counseling. Behavioral problems such as excessive anger or a substance use disorder are likely to require professional help also. If your relationship is full of conflict, a relationship counselor can help you work through the conflict. Don’t feel that it’s a sign of weakness to seek professional help. Athletes have coaches and businesses hire consultants. Sometimes the investment of a few dollars spent on professional help can pay off in huge improvements in solving your emotional and relationship problems. In the wealthiest country on earth, most Americans are poor. 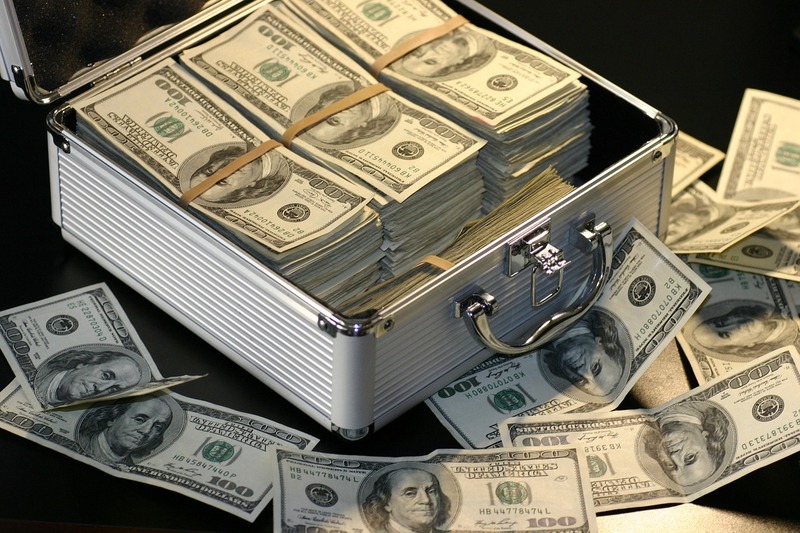 What does it take to become a wealthy person? Getting into that top one percent may be difficult but moving up wealth ladder takes a whole lot less than you might think. Poor may be easier to define than wealthy. The poor can’t afford much of anything. By most economic measures the majority of Americans are poor. I will emphasize Americans in this post because most of the rest of the world thinks of us as wealthy, we know better. Two-thirds of all Americans live paycheck to paycheck. Most of us are one paycheck away from homelessness. The only thing saving a lot of us is the slow speed of eviction and foreclosure. Absolutely having an income is important. We will return again later to the theme of the connection between having a job, any job, and having hope and good mental health. But once you have that income coming in, what will it take to start moving up into the ranks of the “wealthy.” Probably way less than you think. Over one-fourth of Americans have no savings account. Open a savings account of any amount and you move into the upper 75 % of all Americans in wealth. Better open that account with a credit union. In what I see as amazing cynicism most U. S. banks will charge you so much for “maintaining an account” those fees will drain the account dry in a matter of months. Want to do better than that? Let’s say you want to join the upper 50% wealthiest Americans, you need to reach a balance in that savings account of just $500. That’s right folks; to enter the ranks of the wealthiest half of all Americans you need just $500 in savings. You are saying that it must be more complicated than that. Well yes, there is a little catch. You can’t count yourself wealthy if you don’t pay your bills to collect up that saving account balance. But don’t worry about that one too much. Turns out most Americans have bills that exceed their savings account balance. So yes even with balances on your credit cards you can make the 50 % most wealthy Americans list with just $500 in savings. Want to bypass all that middle of the road stuff and make the upper crust? The wealthiest one-third is your goal? The amount you need in Savings will need to reach the astronomical figure of $1,000. This is mind-boggling. Most of us will spend thousands on a big screen or a new computer but can “spend” $1,000 by placing it in a savings account for later use. How much is peace of mind worth? If you lose just one night’s sleep worrying about paying bills having that $1,000 cushion will be worth the effort to save it up. Unless, big warning here, if you are one of those people who the minute you get some money in the bank you increase your spending to use that money up. To get into the top one-third in wealth is a lot easier than to stay there. We need to talk about the average American now, not the upper or lower anything. Calling anyone average is a stretch, especially when we are talking about money. The average family had 2.3 children at one point. No one has point anything kids. You either have two or three or you belong in an institution for the criminally insane. Take one person walking down Wall Street; he has one hundred million dollars in the bank. Now average his bank balance with the nine homeless people in that Occupy encampment. What is the result? The AVERAGE bank balance will be ten million dollars. No one in this example has that amount. This trying to average Billionaires and people making minimum wage is one reason Washington keeps getting us into trouble. If you take away everything the Billionaires have and leave them homeless you still won’t get enough to make the homeless into millionaires. On the other hand, if the Billionaires don’t kick in and kick in good there will be no one to buy from their companies and they will not feel safe walking the streets. Trickle-down economics only works when the flow rate increases way beyond a trickle. But I digress. How do credit cards figure into this becoming a wealthy person? Credit cards have their place. I am not urging you to return to the depression era economics and go completely without the existence of credit. I keep some in case my car breaks down in the middle of the desert and I need to get it repaired to get out of there. I do not move to the desert and try to live by using my card instead of working. The way some card companies market their products is the equivalent of that chocolate cake on the healthy eating list. Sympathy for those card companies is like caring for sharks by keeping some in the community pool. I am all for conservation but it does not include a shark in my pool thank you very much. So what is the relationship between being a wealthy American and credit cards? Wealthy people do not carry balances on credit cards. If they have them and use them they pay them off as quickly as possible. This keeps most Americans out of the “Wealthy” club. The “Average American” has $3,800 in their bank account but they have $2,200 on their credit card. If they were to pay that credit card off there would not be even one month’s living expenses left for that “average” American. The net result is that they will end up using that card again. They get to pay and pay that balance over and over and still never get out of debt. Want to be a wealthy American no matter how much you make? Save up some money in an emergency savings account, pay off those credit cards and then scale back your spending to match your income. You can’t afford the bare necessities you say? We need to talk about the difference between necessities and luxuries, between wants and needs. But this post has run over so I will save that for another time.